Wood Tikchik will absorb one of three personnel cuts statewide as the State Parks works with $500,000 budget reduction. "At this time we do intend to have staffing in Dillingham year round, and hope to find a way to have additional staff in the summer as we know is needed. And it's our intent to get the plane fixed, back up and running," she said. Last August the Park gave a Super Cub it was borrowing back to its owners the Alaska State Troopers. Parks' own plane previously used at Wood Tikchik has been gone for years, apparently still under repair. The Division hopes to keep Alison Eskelin, one of its few trained pilots, as Wood Tikchik’s lone ranger, hopefully with a floatplane to use for patrol. 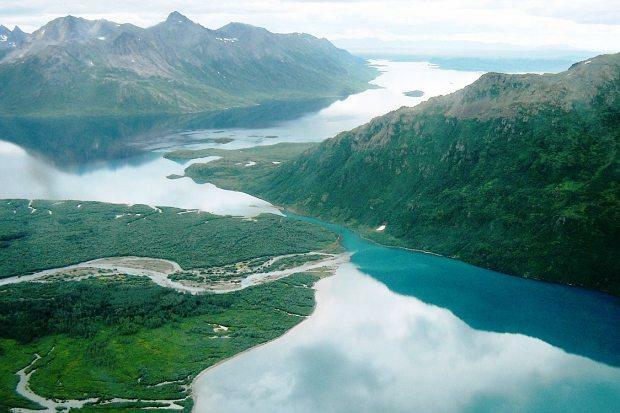 "Wood Tikchik is now managed by the same superintendent who manages Chugach State Park. That individual is Tom Harrison," said LeClaire. The staff change is expected by July 1. No further information was offered as to when Wood Tikchik might get its plane back, or if extra staff would be present this summer season.